Nate Sudfeld, who was tendered to a one-year contract by the Eagles, will have the opportunity to become Carson Wentz's backup. The Eagles tendered backup quarterback Nate Sudfeld to a one-year contract at a second-round level, an NFL source said Monday. Sudfeld, who is a restricted free agent, is slated to earn $3.095 million in 2019. Teams are free to sign him, but they would also have to give up a second-round pick to the Eagles, which is unlikely. 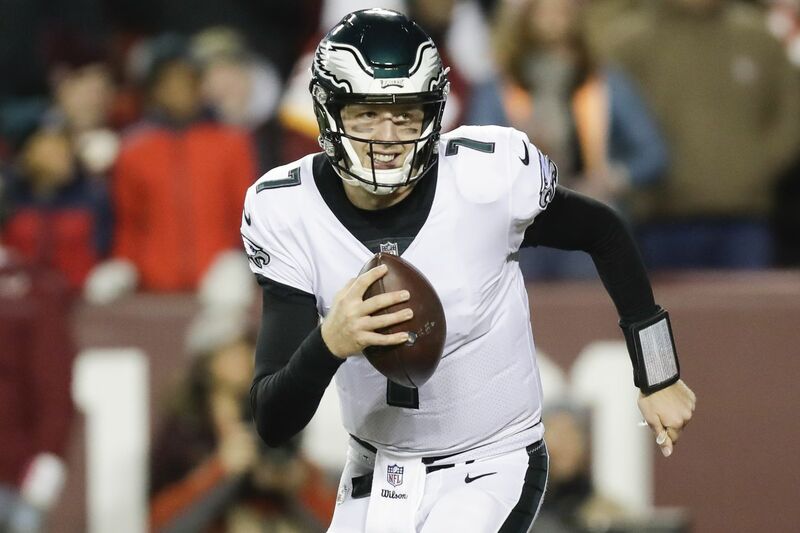 The 25-year-old Sudfeld has an opportunity to become Carson Wentz’s backup after the Eagles allowed Nick Foles, who agreed to a four-year contract with the Jaguars Monday, to become a free agent. Coach Doug Pederson didn’t necessarily hand Sudfeld the job last month at the NFL combine, but he did praise him. The Eagles are believed to be in the market for a veteran quarterback. Tyrod Taylor and Teddy Bridgewater could be options, but the quarterbacks may have opportunities to compete for starting jobs elsewhere. Sudfeld, who was selected in the sixth round of the 2016 draft, has little NFL playing experience. The Eagles signed him just before the 2017 season after the Redskins released him. He played in the meaningless season finale that year and completed 19 of 23 passes for 134 yards without a touchdown or turnover. He played briefly in two games last season. NFL draft: Will the Eagles finally draft a running back in the second round?